Here’s a pic of the my lunch soup. It’s just a lot of veggies I had around thrown into the pot with some broth. I started with the usual base of celery, chopped onion, and garlic, simmering in vegetable broth. 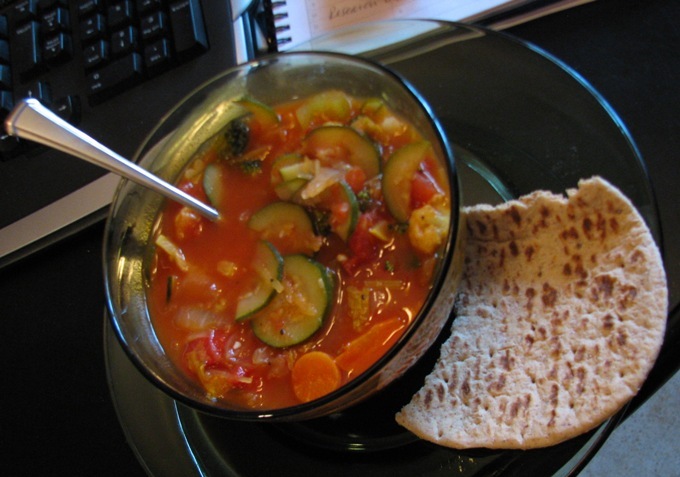 Then I added more broth and some leftover canned tomatoes, yellow squash, zucchini, broccoli and cauliflower, along with sea salt and cracked pepper. My house never smelled this great when I made canned soup! Another project Iam planning is a container vegetable garden for this summer. I’m trying to decide what exactly to plant, other than tomatoes and exactly what to put them in. I would like to watch the sun patterns across the yard through the day, if we would have a sunny day occasionally! So right now I’m planning, researching seeds, plants, soil. I’ve also been saving my seeds from some squash with hope s of planting them. 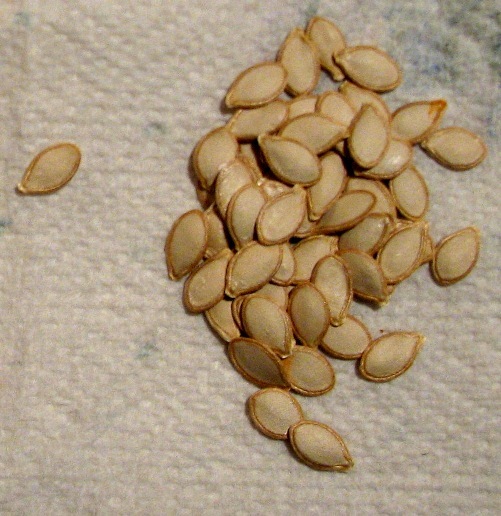 I saved seeds from a butternut squash, rinsed them and dried them, but was later told by my grandmother that an old wives’ tale is you don’t ever wash the pieces of squash off the seed. I have a suspicion that it’s more about keeping water off the seeds than it is about keeping pieces of squash on them. Nevertheless, I did it and we’ll see if they grow later. 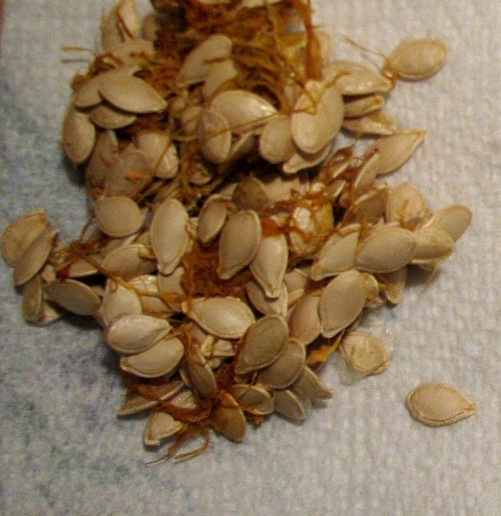 After I was told how to handle the seeds, I saved more from a spaghetti squash, and did not clean them. So this is going to be The Great Uncleaned Squash Seed Experiment. I would love any suggestions or ideas about container gardening! Any suggestions on what I should grow?